Delivering dynamic performance with eye-catching style to match, the Audi A4 also features innovative technology features that elevate its status as a proven contender in the luxury sedan segment. 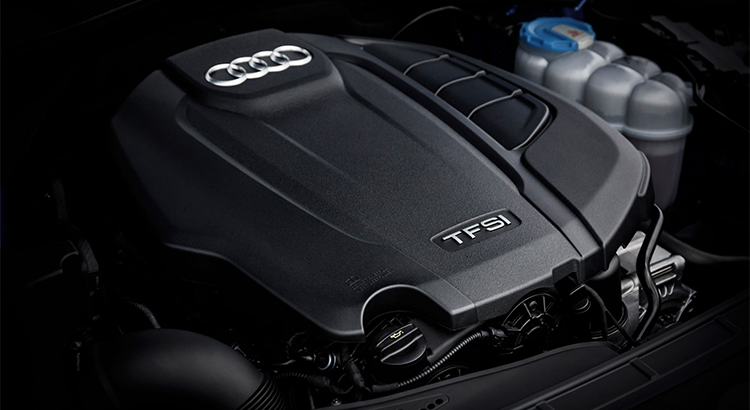 Meticulously engineered to exacting standards, the A4 is powered by TFSI® engine variants and can be equipped with the confidence of proven quattro® all-wheel drive. Bold yet unobtrusive, the exterior styling of the A4 allows you to stand out from the crowd. Standard Audi drive select and the optional Audi virtual cockpit each give the driver the ability to custom-tailor their drive. Distinctive features found inside its interior include standard heated power leather front seats along with an Audi smartphone interface equipped with Apple CarPlay® and Google Android Auto™ integration. Audi remains committed to crafting some of the safest vehicles on the road. This tradition continues with the A4 which features standard Audi pre sense® city and Audi pre sense® basic which act as an additional set of eyes to keep you protected from the unpredictable on the roadways. The 2019 Audi A4 lineup has some minor updates and revisions in terms of feature content. First, A4 quattro® models now feature new standard front and rear S line bumpers and all A4 trims receive a new rear exhaust system with trapezoidal exhaust outlets. Premium Plus trims now feature two USB charge ports for rear seat passengers and the Audi phone box with wireless charging and signal booster. The optional Sport package now features aluminum ellipse inlays. An updated Convenience package now includes Audi side assist and Audi pre sense rear. Standard power for the Audi A4 comes from a 40 TFSI® (2.0T) 4-cylinder with 188 horsepower and 236 lb-ft of torque with front wheel drive. By choosing the available quattro® all-wheel drive system, drivers will enjoy a 45 TFSI® (2.0T) 4-cylinder with 248 horsepower and 273 lb-ft of torque on the A4. This potent powertrain can accelerate from 0 to 60 MPH in a blistering 5.6 seconds to help invigorate your commute. Every 2019 A4 now features a revised rear exhaust system with trapezoidal exhaust outlets. For even more performance, an available Sport package features a unique Sport suspension with a 23 mm lower ride height and firmer tuning as compared to the standard suspension. Individual drive mode settings in Audi drive select give you the ability to custom tailor your ride to suit your specific preferences. As smart as it looks, the 2019 A4 includes an array of cutting-edge technologies. 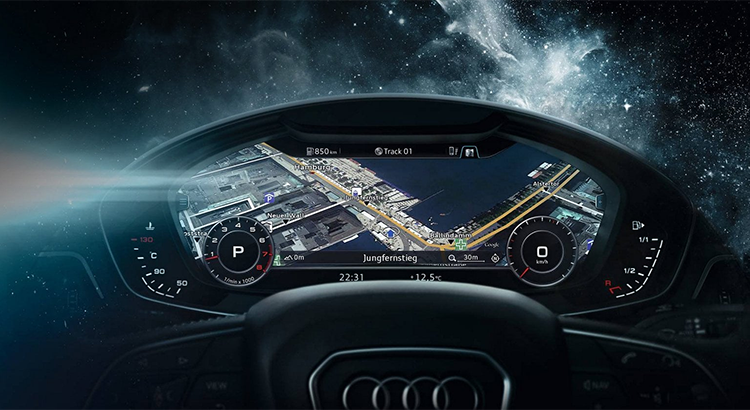 The Audi virtual cockpit features a fully digital 12.3 inch instrument display, giving drivers the ability to customize information such as audio and available navigation, along with access to available Google Earth™. Helping to eliminate unnecessary distractions while driving, an optional heads-up display projects vehicle speed and navigation information directly onto the windshield. Drivers are also able to connect their Android or Apple smartphone to access apps and media by using the standard Audi smartphone interface. Standard across the entire model range of the 2019 A4 is Audi pre sense® basic and city, offering groundbreaking safety technologies. 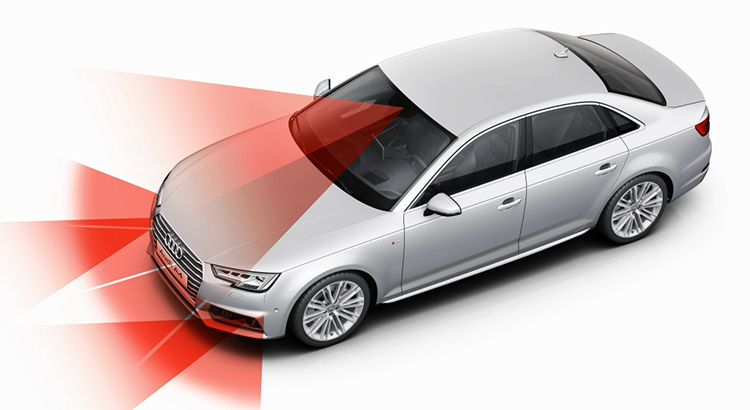 Audi pre sense® city detects vehicles and pedestrians at speeds of up to 52 MPH while Audi pre sense® basic helps secure the vehicle during unusual or emergency maneuvers. On A4 Prestige models, traffic sign recognition uses camera-based system to help detect speed limit signs and displays the information in the available Audi virtual cockpit. The optional top view camera system (standard on Prestige models) provides added reassurance and confidence when maneuvering the A4 into tight spaces.